We were attracted to Deer Isle for many reasons – the splendor of the scenery, the warm welcome we received from everyone we met, and the opportunity to live on an island with the combination of an active fishing village and world class art. Generalizations are always subject to contradiction however I’ve found that artists tend to be open-minded people. There is something about their ability to see the world from a unique perspective that makes them able to see the possibilities in people and conceive of a better, more brilliantly colored world. While I am only an avid admirer, my scientist husband has the soul of an artist. 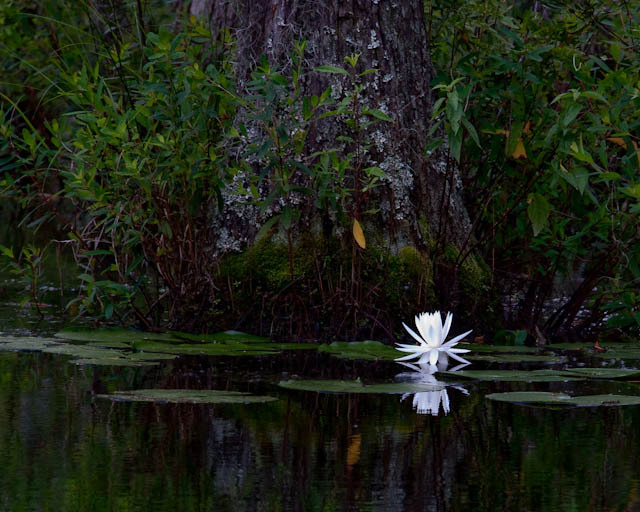 Recently he has had four of his photographs displayed in the Pearson Legacy Gallery on Deer Isle and today he has launched his website: http://www.bobwilsonphotos.com/index.html . Back in February I mentioned that Bob had submitted three of his flower pictures to the Pearson Legacy Gallery for their “Forever in Bloom II” exhibition in March. It was so fun to attend the reception, walk around seeing all the incredible art from the talented residents, and best of all to hear the compliments about Bob’s pieces. Here are the photos he entered. The next picture was found closer to our home in Westwood, New Jersey. Bob and I would drive to the Palisades Interstate Park (http://www.njpalisades.org/) and take long walks along the Hudson River with our dogs. This stretch looked out to the Bronx and Manhattan just across the river and was the site of many bird and wildlife sightings. One day Bob happened to see a very small plant with unusual flowers along the side of the path. I don’t know the name of this diminutive beauty but I love the way the sun reflected off and through its fragile blossom. 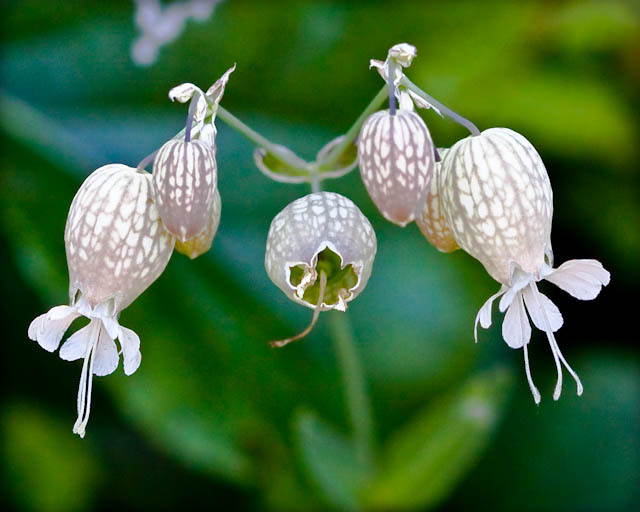 This exotic looking flower comes from an exotic place. Bob and I were in Bocas del Toro, Panama. Bocas del Toro is near the border of Costa Rica and Panama. We stayed at a hotel which perched over the Caribbean waters, snorkeled and delighted in the coral reefs, and traveled by boat everywhere including to the island of Bastimentos. We spent the day hiking through Bastimentos, meeting the locals who represent the various countrymen who came to Panama to work on the canal, and soaked in the tropical ambience. 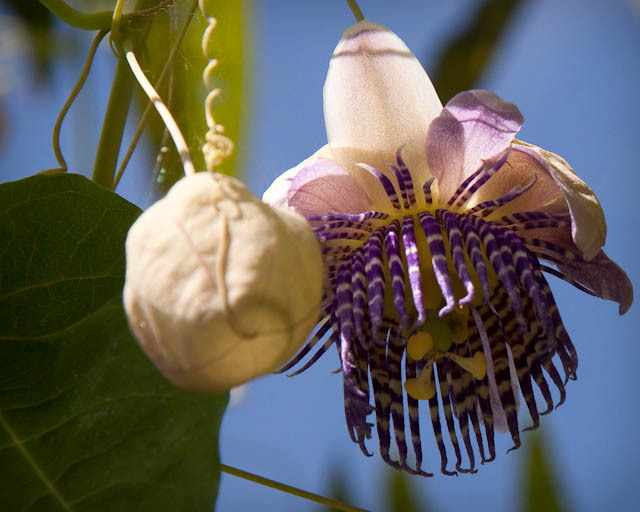 Along one path we came upon a passion fruit flower and Bob was able to capture its uniquely strange and wonderful loveliness. If you look closely, you can see a spider web glistening in the sun. This final picture has been submitted to the Pearson Legacy Gallery and will be part of the the exhibit “People: The Artist’s Interpretation” from April 8 through May 2nd. We won’t be here for the reception on April 8 but I trust it will be just as interesting and fun as the other one. You meet the greatest people at these receptions! The picture was taken in the wild and wooly Bocas del Toro. We were sitting in one of the many outdoor restaurants along the coastline, looking over the sides at the gigantic starfish and being amazed by the varieties of fish that floated by our gently bouncing floor. We had met an ex-patriot from Houston, Texas who was building a house on a nearby island. As we sat there and chatted, devouring our freshly caught fish and drinking a beer, a man with a guitar sat down at our table and proceeded to entertain us with various reggae songs (many were Bob Marley tunes). Eddy was a talented performer and we had a relaxing serenade. Finally he asked us what we thought was the best nation. We hemmed and hawed, not wanting to offend. Finally he grinned and replied, “The best nation is a donation!” Of course we laughed and brought out our wallets. 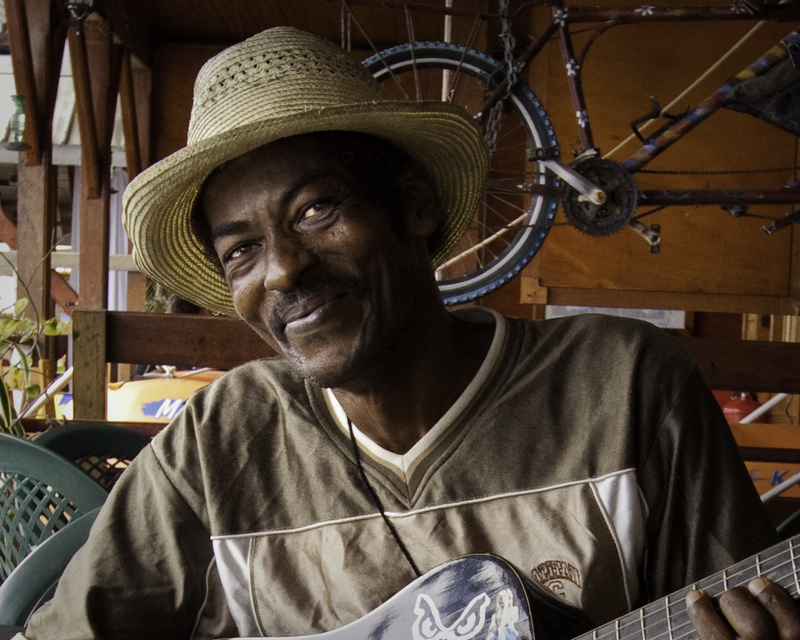 Bocas del Toro is a small town and we saw Eddy frequently during the short time we were there. I doubt that Eddy had an easy life and probably didn’t have much in terms of material possessions but he was one of the happiest people I’ve ever met. He always greeted us and smiled and of course we reciprocated. I encourage everyone to visit this unique place and if you do, please say hi to Eddy for us! If you have enjoyed these and other photos I’ve included in my blog posts, I encourage you to visit Bob’s website and take a look at more eye candy! This entry was posted in Bob Wilson Photos, Community Relations, Retirement/Reinvention, Things to Do in Downeast Maine and tagged art, artist, Bastimentos, Bob Wilson, Bob Wilson photography, Bocas del Toro, Coastal Maine, Costa Rica, Cypress Gardens, Cypress Swamp Preserve, deer isle, Downeast Maine, family trip, family vacations, Fishermen, Florida, living, Louisiana, maine, New Jersey, Panama, Pearson Gallery, Pearson Legacy Gallery, photography, photos, Robert Wilson photography, South Carolina, stonington. Bookmark the permalink. If you are interested in a very reasonable trip to Costa Rica and Panama I highly recommend http://www.latindestinations.com. They have a 14 night trip entitled “From Costa Rica to Panama” starting at $1,444. The service, accommodations, and tours are remarkable! Loved your article and the photos. Panama is calling you back. Indeed it is! 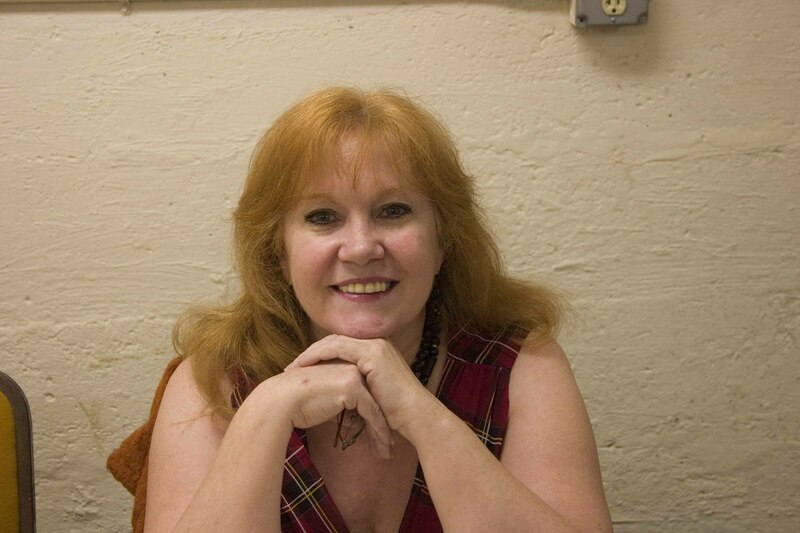 Then again so is seeing our good friends Goldie and Mary….. Not yet though. Sigh.